This article is contributed by Arnab Sen.
Dyeing is perhaps the most delicate operation that a fabric goes through while being manufactured. It involves the treatment of the fabrics with certain chemicals, some of which are dyes and some other accessories to help in the process. One should thus be very sure about the roles played by each component of these chemicals, since controlling their amount or contact time can bring about certain changes to the effect of dyeing on the fabrics. The control is very much desired in order to ensure the right kind of colour in terms of depth and tone is achieved onto the fabric as per the specification provided by the client. Besides achieving the correct colour, certain other factors also remain important, like the possible defects that can arise out of fabric dyeing and a reduction on the fabric wasted. Chemicals including dyes and accessories. Machines and hence the process used. Parameters that control the process and helps to achieve quality as well as efficiency. Among the dyes are the various types, and they are distinctly different from each other in terms of their chemical nature. While some of them form strong chemical bonds at a molecular level with the fibres, such as reactive dyes, others are there that can form only weak bonds, like acid and basic dyes. Then again, there are the direct dyes that form even weaker bonds like van der Waals’ forces and Hydrogen bonds. These dyes are sensitive to the chemical nature of the substrate, which is the fibre. For instance, reactive dyes are good with cellulosic fibres as are direct dyes, but acid and basic dyes can colour protein fibres in a better way, with acid dye being able to colour cellulosic dyes only lightly. There are the vat dyes and disperse dyes too that behave in an entirely different way than the ones mentioned above. They colour a fibre through stearic penetration, or so to say, physical entrance in the amorphous regions of the fibre polymer matrix, and do not have any chemical bonds formed. But for these dyes to penetrate, higher temperatures are required at which the fibre polymer matrices achieve a glass-like state, something transient in between the solid and the liquid state. We have a critical temperature above which this happens, and that particular temperature is called the glass transition temperature. Then comes the fastness of the dyes while the fabric is in use. For dyes that form chemical bonds, it is easy to break the bonds by simple water or the presence of a few electrolytes. For direct, acid and basic dyes, the dyed fibres (and hence fabrics) start to bleed easily, but for reactive dyes with covalent bonds, it is rather difficult. And what about the vat and disperse dyes? They do not bleed at all unless the temperature is again raised to above glass transition level! Here the two ends of a fabric are stitched together, thus forming a huge roll or chain like continuity. The fabric is this form is them put inside a closed chamber through which water with dyes and chemicals dissolved moved fast in the form of jets. The pressure of the jet makes the fabric move slowly inside the chamber helping to achieve uniformity. Since the fabric is not under much tension, this kind of dyeing machine suits almost all kinds of fabrics. Being inside a closed chamber, it is also possible to increase the pressure of air inside thereby enabling temperatures above boiling point of water to be achieved. As a result, synthetic fibres like polyester and nylon that need temperatures above glass transition for dyeing can be treated in this machine. It is a batch machine thereby having limitation in the volume or amount of fabric that it can dye at a time. In jigger, the fabric is rolled onto a roller, and its leading edge is passed through a few guide rolls into a bath of water containing dyes and other accessory chemicals. This leading edge is further passed onto another roller on the other side of the bath or tumbler. When the dyeing starts, the fabric is unrolled from one roll and rolled onto the other. Once a full passage is completed, it is passed on reversibly from the second roll to the first, ensuring that it passes through the bath of colour as it was in the first case. The number of such passage depends on the depth of shade that is to be achieved. Here, there are two visible disadvantages. One is that the fabric is pulled from one roll to another, thereby making it obvious that very fine, thin and weak fabrics may not be suitable for the process. Also, it is an open machine so that we cannot increase the pressure and hence the dyeing temperature above the boiling point of water. This restricts us from dyeing synthetic fibres in this process. Another minor thing to note here is that the liquor does not circulate in this case, and hence, there can be issues with the fabric achieving uniformity of colour in case of certain critical dyes like turquoise. One advantage is that the machine is simple to operate and very low on capital as well as working expenditure. This is the mostly used machine today owing to the fact that it is a continuous machine and hence offers a higher productivity. But again, it has a higher capital as well as working expenditure, making it unsuitable for small scale operators. In this method, the fabric is passed through several rolls that make it go through a solution of the dye along with certain accessories in the first step, and then a series of other steps. What are the following steps? The first one to follow is a hot chamber that has hot air at a particular temperature blowing through. This heating chamber helps in making the dye react with the fibre chemically, or penetrate inside physically, as the case may be. A set of press rolls ensure that the excess of dyes and accessories picked up from the padding mangle have been washed off the cloth even before it enters this heating chamber. After this heating chamber, there are a series of washers, some of them with only soft water and others with soap solutions to remove the excess of dyes and accessory chemicals that may still be left on the dyed cloth, thereby improving fastness. Besides a higher productivity and efficiency, the advantage of this machine is that it can help dyeing a wider range of fabrics including those made out of synthetic and blended ones. Among the disadvantages of high cost involvement is also the fact that to run this machine, skilled and trained manpower is a must that only large scale operators can afford. This has an extensive use in yarn dyeing, but in case of fabric dyeing too, it can be resorted to. Take a fabric and wound it up on a perforated beam; place the beam inside a closed chamber and pass the liquor containing dyes and accessory chemicals through the beam such that the liquor flows from inside to outside. In the process, it will penetrate the fabric wound around the beam under pressure, thereby dyeing the same. Since there is involvement of tension here, delicate fabrics cannot be dyed. However, high temperature and pressure can be achieved as the dyeing occurs in a closed chamber. This process is also classified as a batch process and it ranks in between padding mangle and jigger in terms of efficiency and volume of fabric handled per unit time. Temperature- most important in all cases. Atmospheric pressure- important only for synthetic fibre fabrics. Achieving uniformity of dyeing (also called level dyeing) - synchronised motion of fabric as well as dyeing liquor. Pressure of rollers- applicable mainly for padding mangle; also for jiggers; they ensure removing excess dyes and auxiliary chemicals that can cause trouble at later stages like deteriorating fastness, creating creases and holes, etc. Pressure across rolls- pressure from one end of a pair of rollers to the other must be equal or at least comparable; otherwise it can give rise to the most dreaded of fabric dyeing defects- centre to selvedge variation. Dye kitchen- it is the place where dyes and auxiliary chemicals are mixed together. A mistake here and the whole shade thing goes for a toss! Lab to bulk conversion- shades are prepared in lab before finalising the recipe for the bulk, but still there remains some bit of difference between the depth and tone of shades achieved in the lab and in the bulk with the same recipe. A good dyeing mill is one to have a very high degree of this lab to bulk conversion where the difference between the shades in bulk and developed in the lab is only minor and within the acceptable limit. Reference: Johnson, I. and Cohen, A.C., J.J. Pizzuto’s Fabric Science, Fairchild Books, ISBN 978-1-56367-855-4, Ninth edition, 2010, Chapter 8. Arnab Sen is an Assistant Professor, Textile Design, National Institute of Fashion Technology (NIFT), Bhopal, India. He is a B.Sc.Tech. in Textile Technology from the University of Calcutta and an M.Tech. in Fibre Science and Technology from the Indian Institute of Technology Delhi. 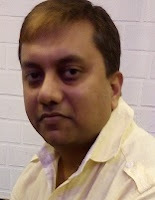 He has served the textiles industry of India as a teacher and a professional since 2001. 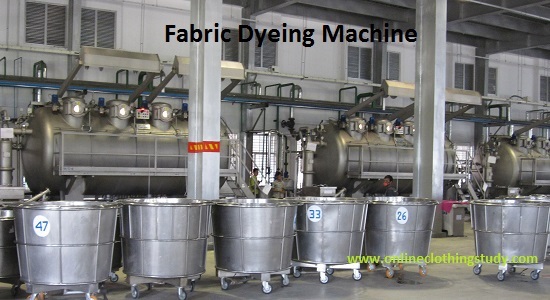 Learn about fabric dyeing process, dyeing machines and dyeing chemicals etc.